When editing a site, you work with it in a document window. Provides quick access to commonly used features. 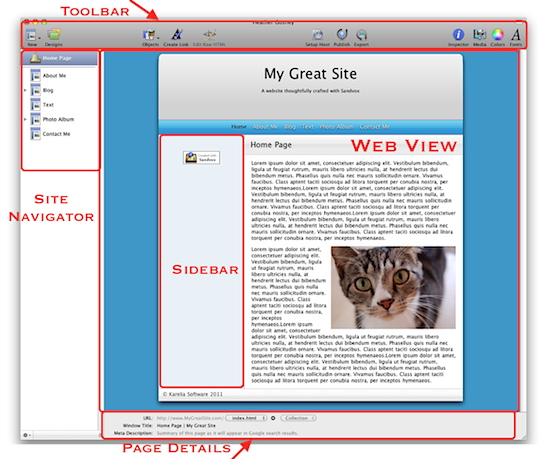 Displays the contents and structure of your website. The Home Page is always listed at the top. An editable, live preview of the currently selected page. Most pages have a Sidebar. It is used to hold supplemental information (in the form of objects) and may appear on the right or left, depending on the design. Holds controls to set the filename and any tags for the selected page.